In the opening game of the day the Police Ladies defeated the Teachers Ladies 51 – 5. Jo Murray would lead the way with 5 Try’s for the Police Ladies, while Jess Wagner, Olivia Smart, Mika Tomita and Meagan Jackson all added a Try each, with Fiona Donaldson kicking 4 Conversions. The second game of the day saw the Renegades defeat the Mariners 24 – 0, Ashley Godek, Rachel Jenkins, Amy Harvey and Jackie Oliver all scored a Try each for the Renegades, with Laura Mulligan adding 2 Conversions. The Police earned a hard fought 27-12 victory over the Teachers, the Police opened up with Dan Cole Penalty, the Police dominated possession but had little to show, including two missed Penalties. Spencer Brown would go over for a Try, but Cole missed conversion as the Police would take a 8 - 0 to the half time break. Teachers caught the Police napping off the kick off and stole the ball, good forward driving put George Peets over and Mikel Dill converted closing the gap 8 - 7. Police woke up and after a good series of play worked a fine lineout and a simple crash ball to see center Andrew Kemp score a Try and with Cole good on the Conversion the score would see the Police open up an 8 point lead again 15 - 7. Indiscipline by the Teachers put them on the back foot and once again poor tackling allowed Ryan Murray to score, Cole Converted to extend lead to 22 - 7. Police earned their bonus point with a powerful run off the base of an attacking scrum by Vaughn Van Oudtshoorn, but Cole missed the Conversion the score would remain 27 - 7. 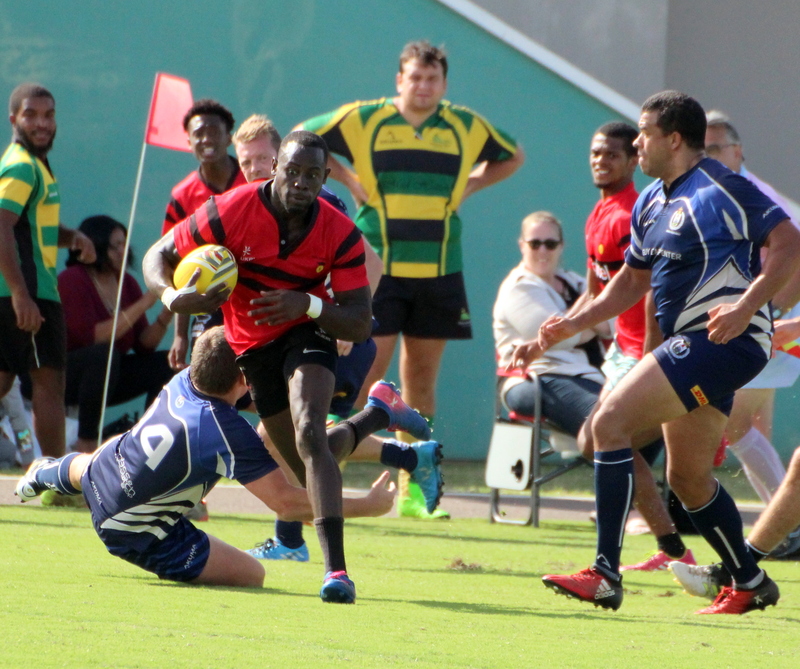 The Teachers earned a consultation Try through winter Chiquon Smith, but Dill missed Conversion to make the final score 27 – 12. In the final match of the day the Renegades defeated the Mariners 55 – 10. The Renegades got 2 Try’s from Jamie Baum, Alex Brown and Ed Gyde, while Paul Kelly, Tom Healy and Robin Brickell all added a Try each, Kelly kicked 4 Conversions, with Brickell adding the other. The Mariners got a Try from Mikel Dill and a Penalty and Conversion from Brian Archibald.